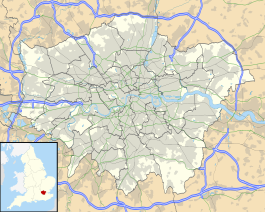 West Finchley is a London Underground station in the Finchley area of the London Borough of Barnet, north London. The station is on the High Barnet branch of the Northern line, between Finchley Central and Woodside Park stations and is in Travelcard Zone 4. 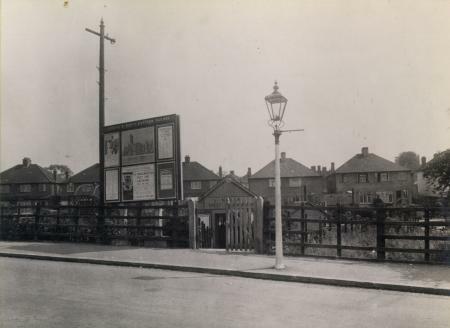 The station was opened by the London & North Eastern Railway (LNER) on 1 March 1933 on its line to High Barnet. It opened to serve new housing developing in the area and was built with only modest station structures from the outset. Many fittings were taken from stations in the north of England. The footbridge has been claimed to come from Wintersett and Ryhill station in Yorkshire, which had closed in 1930, although its station footbridge does not look the same in photographs. The section of the High Barnet branch north of East Finchley was incorporated into the London Underground network through the "Northern Heights" project begun in the late 1930s. 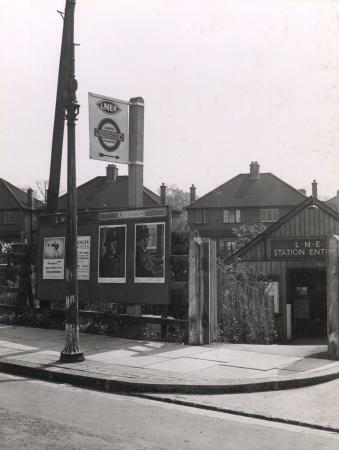 West Finchley station was first served by Northern line trains on 14 April 1940 and, after a period where the station was serviced by both operators, LNER services ended in 1941. The main entrance is in Nether Street; there is a small front garden between the pavement and the building containing the booking office, though it is not accessible to the public (there are high fences on each side of the path). Access to the northbound platform by wheelchair and with push-chair is straightforward, though it is necessary to cross a footbridge to reach the southbound platform. Although there is an entrance directly onto the south-bound platform, it is only open during the morning rush hour. This small entrance was closed for security reasons during the weeks following the 7 July 2005 London bombings although it has now reopened. The area surrounding the station is mainly residential, though there is a parade of shops just outside, as well as local play- and infant schools. The station is not particularly well attended, with the ticket office often closed, due to the low usage of the station, situated as it is in a relatively wealthy middle-class area, where most people prefer to use their own transport. In the rush hours the station has fairly good usage. London Underground Limited announced in June 2007 that due to reduced demand for tickets bought from ticket offices (as opposed to from machines) around 40 of the most lightly used ticket offices at Tube stations will close from March 2008. The list of stations includes West Finchley. Train frequencies vary throughout the day, but generally operate every 3–7 minutes between 06:09 and 00:13 in both directions. London Bus routes 13, 125, 221, 460, 683 and night route N20 serves nearby the station. ^ Pevsner & Cherry (2002). London: North. New Haven, Conn.: Yale University Press. p. 124. ISBN 9780300096538. ^ a b "Oyster success leads Tube ticket office changes". Transport for London. 12 June 2007. Archived from the original on 3 November 2007. Retrieved 19 November 2007. ^ "Northern line timetable: From West Finchley Underground Station to Woodside Park Underground Station". Transport for London. Retrieved 16 March 2015. ^ "Northern line timetable: From West Finchley Underground Station to Finchley Central Underground Station". Transport for London. Retrieved 16 March 2015. ^ "Buses from West Finchley" (PDF). Transport for London. January 2013. Retrieved 16 March 2015. Wikimedia Commons has media related to West Finchley tube station.